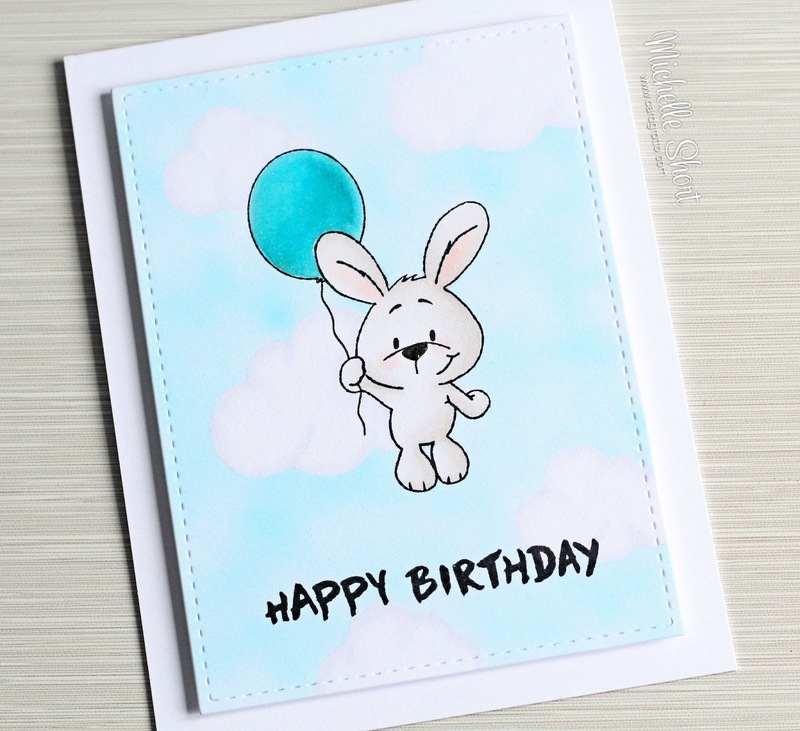 What a cute card and soft look with those clouds!!!! Hugs! Wonderful! Love your coloring! Thanks for the reminder to pull out that airbrush too! 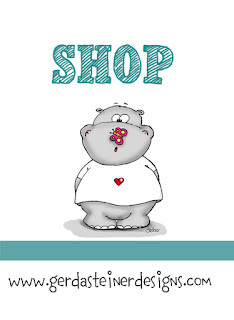 What a very cute card! Liking this airbrushing technique! TFS! Oh, Michelle, you are amazing! 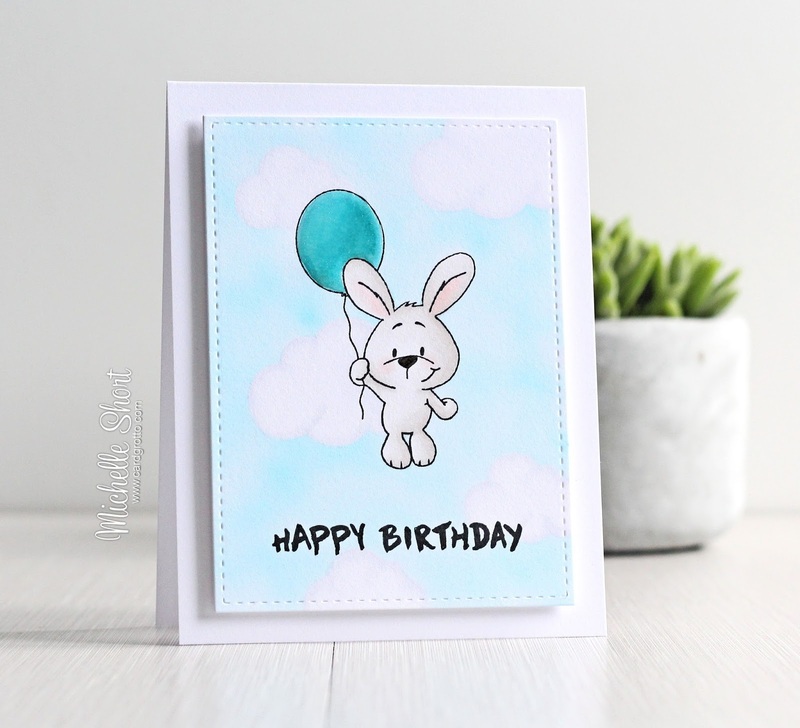 I love love love this beautiful CAS bunny-card!! !